“Only Angels Have Wings” was directed by Howard Hawks in America in 1939, has a running time of 121 minutes and screens in HD black & white. The censorship rating is PG and it is in English. 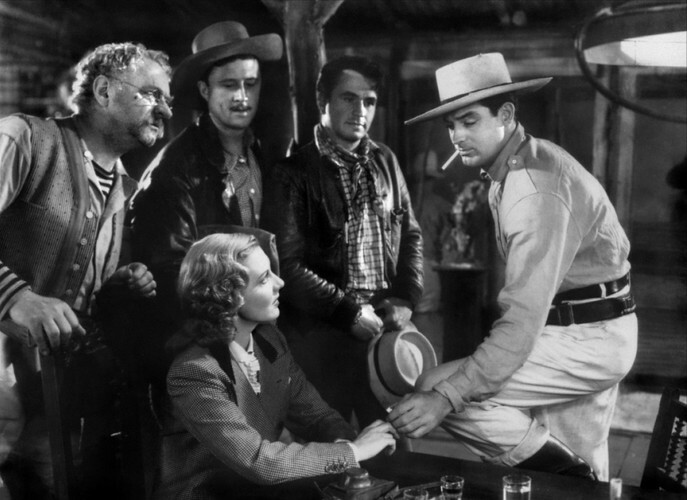 Starring Cary Grant and Jean Arthur as daredevil fliers in South America in an exhilarating adventure, based in part on the director’s own experiences. For newcomers, please note the Canterbury Film Society offers weekly screenings of top-quality arthouse, international, local, rare and classic feature films, documentaries and more. Full membership provides access to all screenings through our eight-month season in the Philip Carter Family Auditorium at the Christchurch Art Gallery Te Puna o Waiwhetu, for just over $4 per film! This year's 30-film season runs on Mondays from 26 February to 15 October (except public holidays and Mondays that coincide with the NZ International Film Festival) with screenings at 7:30pm. Also diary 2pm Sunday 4 November for a final, special screening. Doors open at 7pm and membership can be purchased via the website or on the night. Metered street parking is free after 6pm. The CAG underground carpark is currently free (until end June) for the first hour, then $1 per half hour. New members are warmly welcome. Annual membership runs for 12 months from the date of joining and is $132 for a full new member, concession membership is $122 and tertiary/secondary student membership is only $70. Alternatively, buy a three-film $30 Flexi-Pass membership that has no expiry date to use on three separate occasions – or invite two friends to come to the film of your choice. Join on the website or membership enquiries to Marina Chester (03) 9604-629.